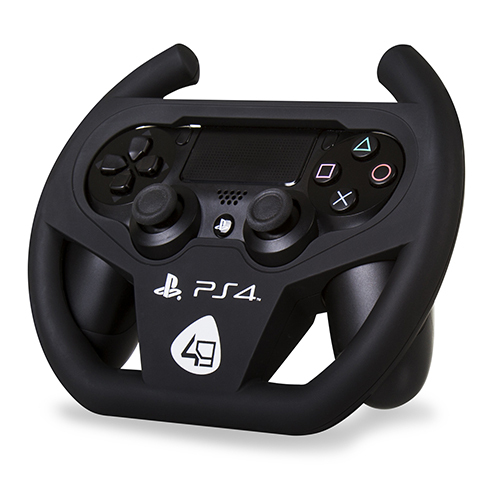 The Compact Racing Wheel is fully compatible with the DUALSHOCK®4 Wireless Controller. 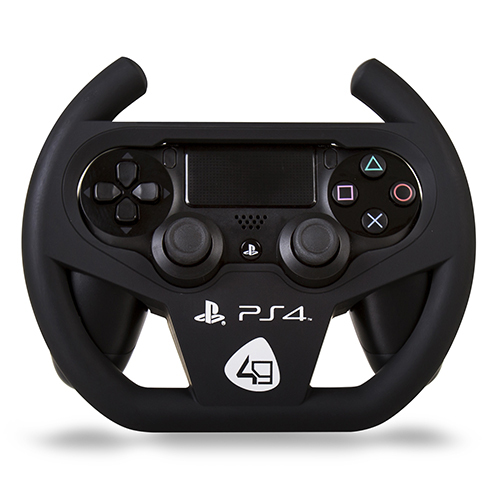 Simply slot your DUALSHOCK®4 Wireless Controller into the back of the wheel to create a more realistic driving experience. 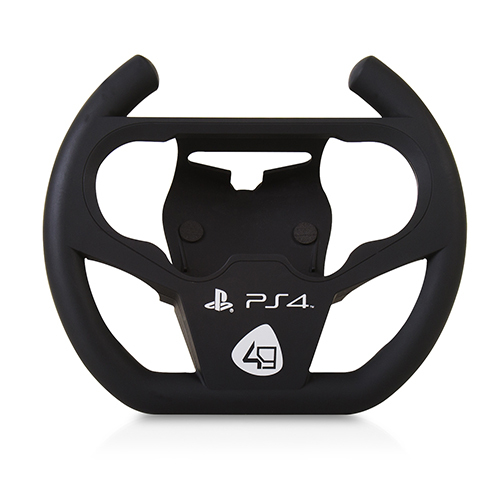 This Officially Licensed product allows access to all standard game functions and enhances game play with all driving games that support the “tilt-to-steer” steering function. 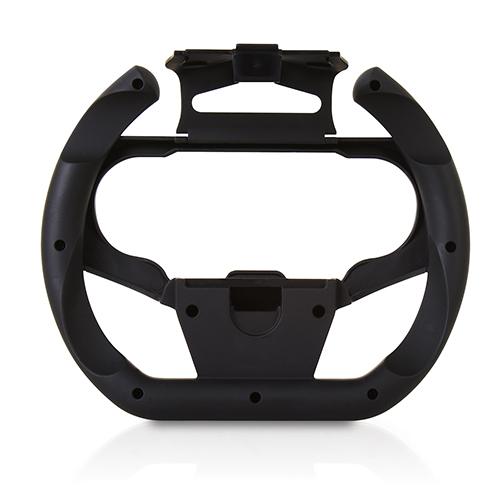 Maximise your in game racing experience with the 4Gamers Compact Racing Wheel. Q: Can I use this with Drive Club VR? A: Yes, this product is compatible with Drive Club VR for PSVR. Q: Can this be used with Gran Turismo Sport? A: Yes, this product is compatible with GT Sport. Q: Do you have to use the tilt-to-steer technology? A: Not at all, you have full access to all of the controls if you want to use this for general gameplay. Q: Do I need to install anything for connectivity? A: No, this is a housing product only, design to enhance grip whilst using in your favourite racing games. The only technology used, is from the controller inside the housing.